Angry Birds malayalam movie will bring bollywood actress Tabu back in malayalam. Directed by Aji John, the movie will also feature other leading actresses including Bhavana, Mamta Mohandas and Rima Kallingal. Scripted by Anoop Menon, this movie will be Aji John's next after Hotel California. Bollywood actress Tabu had the last outing in malayalam movie Urumi, seen in a guest appearance. After featuring in Kalapani and Cover Story, it took long years for Tabu to kick back into the industry. Now it is known that the actress will play a key role in Aji John's next project titled as 'Angry Birds'. More interestingly, the movie will have a long lineup of leading heroines in malayalam including Bhavana, Mamta Mohandas and Rima Kallingal. 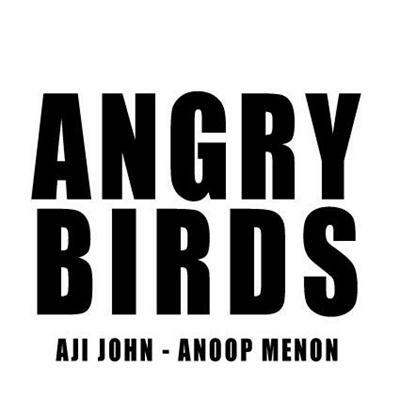 Scripted by Anoop Menon, Angry Birds will go on floor after wrapping up the shooting of Hotel California. Jayasurya who has a good rapport with Anoop Menon will don a prominent character in the movie. A project titled 'Sherlock Holmes' which was under plan seems to have been shelved as Aji John and Anoop Menon wish to go forward with Angry Birds. Having a multitalented personality, Anoop Menon is busy shuttling from location to location. Other than acting, Anoop is known as a screen play writer lending majestic script works for Cocktail , Beautiful and Trivandrum Lodge. He will also work for the screenplay of David and Goliath, Lavender, 1983, Pattom Pole and Angry Birds. As his talents are yet to get a break, movies like Buddy, Hotel California, David and Goliath and Lavender will be blessed with beautiful lyrics to come from the heart of Anoop. As a film maker, Aji John is getting noticed by the young generation movie lovers. Debuting as director with Nallavan, Aji John teamed up with Anoop Menon for 'Namukku Parkkan'. His current venture 'Hotel California' had already created a lot of buzz with his huge line up of young actors. The movie which does give preference to music will have two item songs and one romantic number.